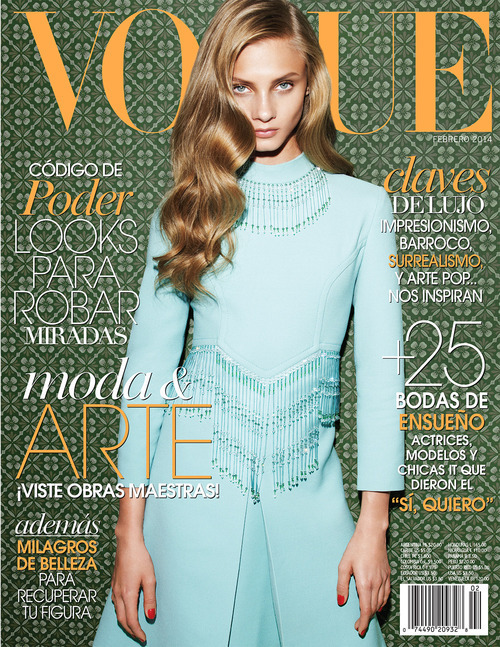 BRIDGE Artists Sarah Gore Reeves styled cover and inside editorial star Anna Selezneva for the February 2014 issue of Vogue Latin America. Photographed by Nagi Sakai, with makeup by Niki M’nray, and hair by Roberto Di Cuia. Check out the full story on Fashion Gone Rogue!